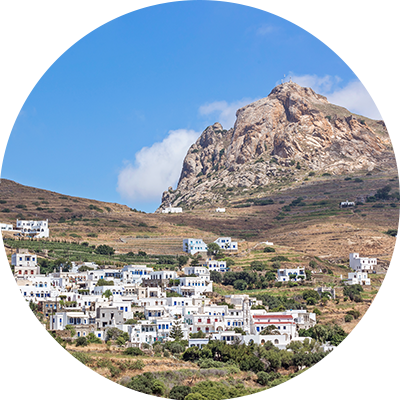 Tripotamos, a listed traditional Cycladic village where our countryside hotel, Crossroads Inn, is located, is the first village on the way to the island’s heartland, at a distance of 5 km from the town of Tinos (Chora). 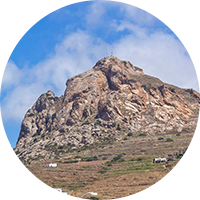 Behind the village, to the north, you are gazing at the dominant, bare Rock of Exombourgo where the ruins of the medieval city of Tinos and the traces of earlier cities dating back to the Prehistoric and Geometric Eras are located. To the south, you are gazing at the Monastery of Aghia Pelagia, the Aegean Sea, and the island cluster of Delos. Our hotel location enriches our guests’ alternatives: it gives them the pleasure of spending their vacation in the tranquil and one-of-a-kind traditional ambiance of the village of Tripotamos and of returning home taking away with them the coziness of actually having “lived the life local” at a village of the Cyclades island cluster. 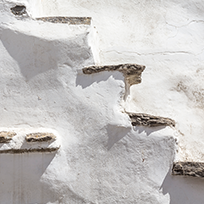 The whitewashed housing clusters of Tripotamos and of the neighboring village of Sberados, together with the old school between the two villages, the dovecots (columbaria), and the Rock of Exombourgo, compose a landscape of such beauty and vibrant harmony that it takes your breath away. 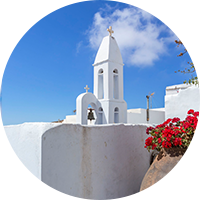 They herald the enthralling vistas that await you in the heartland of the island of Tinos where, with your eyes and heart wide open, you will be able to drink in the innermost nature of Tinos as the island unfolds it before you. Tripotamos is in the center of the island’s heartland with easy access to all of Tinos’ traditional villages and beaches. It is barely 7 km away from the inviting beaches of Aghios Fokas, Kionia, and Aghios Romanos and 10 km away from those of Kalyvia and Kolymbithra. The villages of Ktikados, Chatzirados, and Karya, where visitors can find traditional taverns, are at a distance shorter than 1.5 km from Tripotamos. 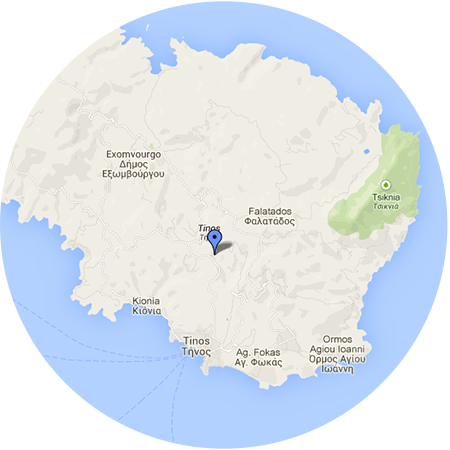 The nearest grocery store is on the central road leading to the town of Tinos, 3.5 km away from Tripotamos. The gas stations nearest to Tripotamos are to be found on the same road, 3 km away from Tripotamos. Crossroads Inn, our countryside hotel, is located at Tripotamos traditional village, which is the first village on the way to the island’s heartland, at a distance of 5 km from the town of Tinos (Chora) and barely 7 km away from the inviting beaches of Aghios Fokas, Kionia, and Aghios Romanos and 10 km away from those of Kalyvia and Kolymbithra. Tripotamos is in the center of the island’s heartland with easy access to all of Tinos’ traditional villages and beaches. 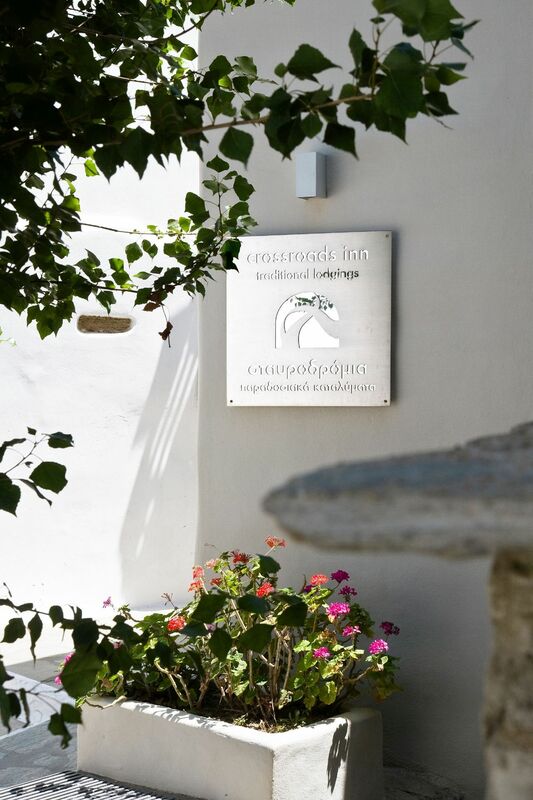 Follow the link and relaxing holidays await you in our hotel, at Tripotamos village, on Tinos Island!